Looking at opportunities and demand for Second Homes, Mr Santosh Naik (MD & CEO) the brain behind the second homes concept, built castles in the air and dreamt of the day, when he would actually see them rise high on land - almost touching the sky. The dream & ideas started taking shape from 2003. And the Journey started in the right direction by name “Disha Direct”. Today, “Disha Direct” is one of the leading players in several segments ranging from Bungalows, Villas, Apartments, Budget Homes, N.A plots and Farm Plots in the real estate arena. 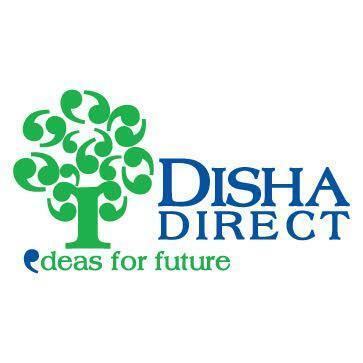 Disha Direct’s philosophy is based on the core values of innovation, integrity & professionalism. In a society where home remains a basic necessity, Disha Direct projects are creatively designed using innovative ideas to create a world that is effortlessly luxurious, quietly elegant and exclusive. We endeavor to deliver projects on time following high levels of integrity and transparency thus building trust and confidence amongst its customers. It hires the most capable professional talent that adheres to global best practices. In doing so, we are constantly challenging ourselves in order to widen our horizons by making a holistic contribution to the changing Indian lifestyles. We enjoy a long-standing association with our customer. Disha Direct is a well-known name in the second homes. Disha Direct aspires to create a home for every dream and present India with finest abodes and properties at prominent destinations. The company believes that product and design innovation is a seamless process that creates a roadmap for excellence. Since 11 years, Disha Direct has made rapid strides to make its heartwarming presence felt in the Indian & International markets. Today, it operates through 10 offices in Western India and two international offices . The success story of 45 completed projects and 16 current projects clearly brings to light the distinctive reach of Disha Direct in Mumbai, Thane, Pune, Nasik, Nagpur, Alibaug, Shahpur, Karjat, Lonavala,Wada to name a few. In 2011, we ventured into lifestyle with “Greenarth” Leisure. Conceived as a chain of theme resorts across Maharashtra, Greenarth is a combination of enriched lifestyle, warm hospitality, contemporary recreation and pure nature. Each resort is being attractively created to ensure that life’s beautiful for everyone on this earth. We believe in having complete transparency in dealings, ensuring secure, risk free, legitimate properties. We wish to surpass all boundaries to emerge as the ‘Most Respected’ Brand by offering ‘value for money’ and ‘variety’ in three distinct sectors of Investments, Properties & Lifestyle while catering to every segment of the society. 11,000 smiling families are our assets in the coming years; we wish this relationship will grow in leaps & bounds.